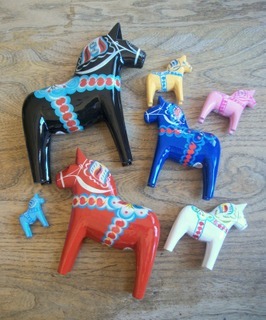 Our Dala horses are imported from the Grannas Olsson factory in Nusnäs, Sweden. 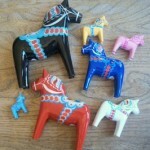 Each horse is hand-carved and hand-painted in traditional patterns using water-based colors – they are truly one-of-a-kind creations! Choose from a variety of colors and sizes. Please note that we do not have EVERY color in EVERY size, so selection will vary.